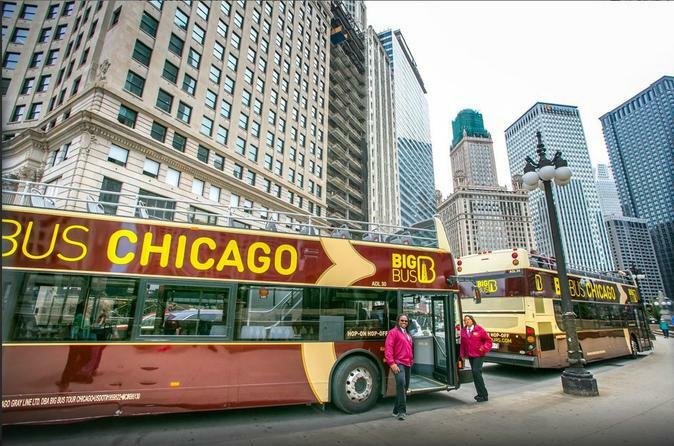 Enjoy a panoramic night-time sightseeing bus tour and be dazzled by the bright lights of Chicago. See the entire skyline lit up from the Museum Campus, discover River North’s vibrant nightlife scene, and travel every inch of Michigan Ave from The Magnificent Mile to The Cultural Mile, all in one exciting loop. See Chicago in a different light on our panoramic Chicago Night Tour. Tours begin at Stop 11: Navy Pier. Please note that the Night Tour is not a hop-on, hop-off tour. Hear fascinating facts about passing sites and insider tips on where to visit from your expert guide. Sit back and enjoy your nonstop night tour. Experience the enchantment of Chicago at night with stunning panoramic views of the skyline.